This MSc provides you with a timely and integrated perspective on environmental bioscience, environmental management, and environmental politics and regulations. You’ll focus specifically on the context of land management for the sustainable production of food, energy and ecosystem services. The course comprises taught core (Soil, Water & Plant Mineral Nutrition; Biosciences, Politics & Social Acceptability; Climate Change; Biological Invasions in Changing Environments; Environmental Accounting; Organic & Low Input Systems; Biodiversity, Conservation & Ecosystem Services; Microbiomics & Metagenomics; Challenges of Global Food Security; Environment Protection, Risk Assessment & Safety) and optional modules and a project, placement or dissertation. We’ll provide you with an up-to-date overview of issues relating to climate change and its implications for natural resources, biodiversity, and sustainability. You’ll also be able to explore an area of interest in greater detail through an individual research project, placement or dissertation. The elective modules will allow you to learn about the role of environmental law and regulations, or to gain knowledge related to marketing, finance or business as part of this degree. You’ll emerge with the skills to evaluate the scientific causes and impacts of climate and environmental change, and to communicate these effectively. This means you’ll be suited to a variety of roles in areas such as climate policy, outreach and development, science editing, environmental marketing and corporate sustainability policy. If you’re planning a research career in fundamental or applied environmental bioscience, you’ll find this course equally beneficial. 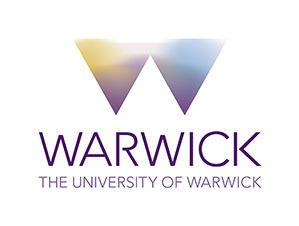 Visit the MSc Environmental Bioscience in a Changing Climate page on the University of Warwick website for more details!